Reclaimed Yorkshire stone walling is second to none. The combination of natural colouring textures and it's extreme durability make it very desirable building medium. 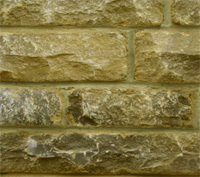 Bingley Stone can source reclaimed stone walling in a variety of types. Below you can see an outline of these types. 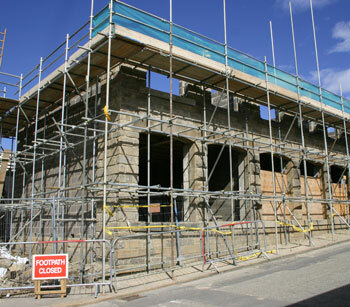 Examples of reclaimed walling stone. 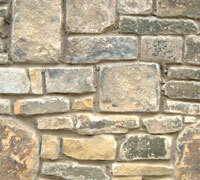 Below are some examples of reclaimed walling stone. The pictures shown are for illustration purposes. Reclaimed walling stones vary immensely from batch to batch and the supply of reclaimed stone is becoming ever more scarce. Pitch faced walling stone. Always a very popular type of walling stone. It has been used for many years in a range of sizes, most commonly laid in courses between 50mm to 200mm but often in sizes much bigger. The degree of pitch on the face can vary from almost flat to a very pronounced protruding pitch. The examples below intend to show an indication of the vast array of pitched faced walling, the variety of ways in which it can be used and the differences in the way stone will age due to its location. Similar to the pitch faced walling shown above in many ways such as the colouring and sizing. The obvious difference being the face of the stone being flatter in the vertical plane. 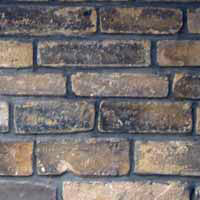 Flat faced walling is again a very popular type of walling stone. It has been used for many years in a range of sizes, most commonly laid in courses between 50mm to 150mm. The examples below intend to show an indication of the vast array of flat faced walling, the variety of ways in which it can be used and the differences in the way stone will age due to its location. Considered by many as the Rolls Royce of walling stone. 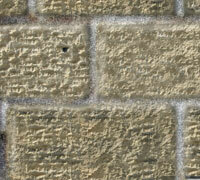 Punched faced walling is very desirable due to its appearance and qualities. Traditionally punch faced walling was more commonly used in buildings of higher status and today it still commands great demand for high end building work. As probably one of the more scarce of all the walling types, and possibly the most desirable. The prices of punch faced stone have increased dramatically. over recent years. The examples below intend to show an indication of the vast array of punched faced walling, the variety of ways in which it can be used and the differences in the way stone will age due to its location. Popular today due to it's availability and relatively low cost. Random old walling stone has all the strengths of its more expensive equivalents shown above but for a fraction of the cost. A little move thought is required to wall random walling successfully, but the results speak for themselves. In many applications a random wall is better suited than the regular coursed walling types. The examples below intend to show an indication of the vast array of random walling, the variety of ways in which it can be used and the differences in the way stone will age due to its location. 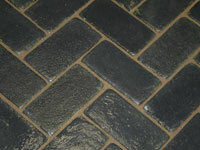 Walling stones can be laid in differing arrangements with very different results. Most commonly old walls tended to be built in either random coursed or random coursed with jumpers (jumper sneck) More modern building methods and stone production mean that more often new buildings are build in coursed walling stone. Each example shown above can vary widely dependent upon the sizes of the stones making up the arrangement for example: One random coursed wall may consist of courses from 90mm to 110mm in height, another wall might have courses varying from 65mm to 250mm. This is a term for the stones laid in the vertical direction. Sometimes Jumpers can be stones of a similar size to the rest of the wall and sometimes the larger stones are selected and used as jumpers. Once again, this tends to vary widely from one wall to the next. This is a term used to describe the larger stones forming the corner blocks on the wall. These can range from smaller stones to huge blocks of stone, often regular shaped but sometimes irregular in size and shape. Quoins are seen on the corners of walls or buildings, also on some door and window openings.